Glad you've found the info useful. Yes, welding is a very useful ability. I'm reasonably good at it but I know my limits and leave anything structural to the experts. I've found a mobile welder who does good work and doesn't charge excessively. I let all the things I'm not happy tackling build up until its worth getting him out for an hour or so and let him rip. Works out well for me as he can also do aluminium plus things like stainless onto mild steel which I cannot. Been a while so a bit of an update. 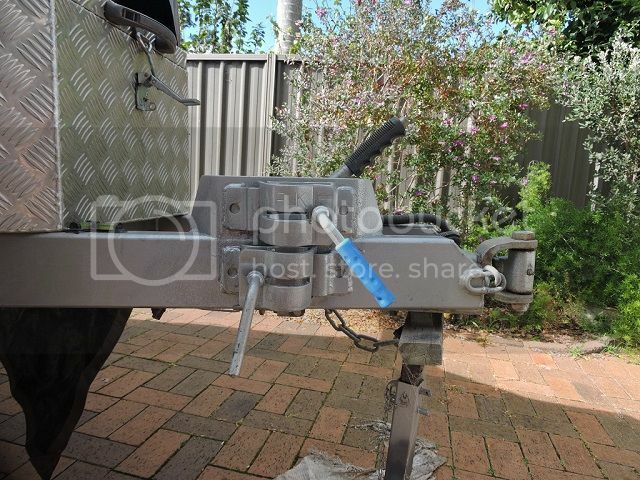 As the draw bar is quite high, you need a long reach jockey wheel to reach the ground. The factory supplied Manutec unit is 750mm long. 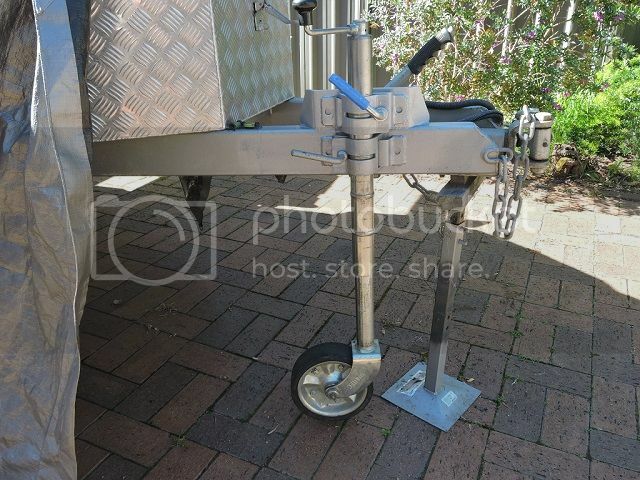 The problem is that, even after you collapse the pole, the jockey wheel is still quite long so flexes its clamp and the wheel end flops around under the draw bar a bit when you manoeuvre the trailer. This makes it hard to push the trailer around and it constantly feels like its going to break off. Fabricated up a 6mm bracket that has been welded onto the top of the draw bar above the existing Manutec clamping point. This provides a mounting platform for an additional ARC clamp which is made from thicker material than the Manutec. The two clamps used together firm things up enormously. 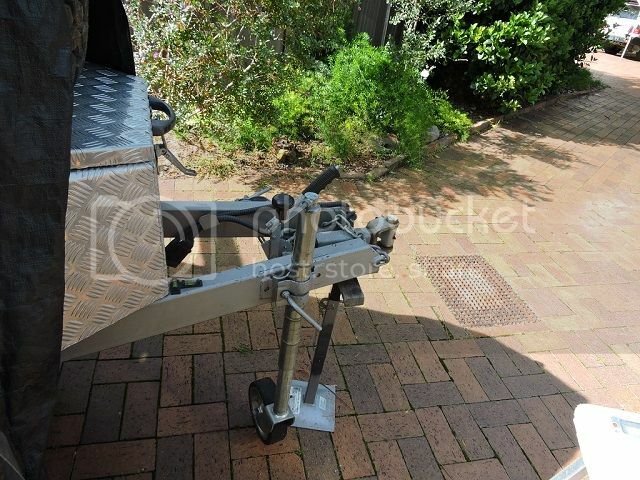 I'm just off to add another bracket to our 'big' trailer that's always suffered from the same problem! 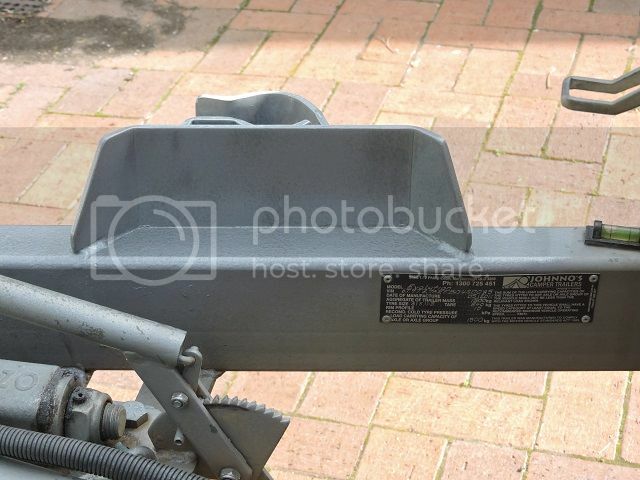 Some other Johnnos owners have reported that the kitchens flexing and bouncing on corrugations etc can cause it to rip free from the tailgate door. As you can see from this pic, there's not much holding the kitchen onto the tailgate and there's a lot of weight perched on top of the kitchen deck. The Sovereign BBQ alone weighs some 13Kg. Compounding this is the Johnnos minimalist approach where they only put in a few tack welds followed by filling in all the gaps with automotive body body filler before painting. It all looks nice and strong but the reality is that there's not much mechanical bonding involved. In my case, there were 3 x 25mm welds on the left side, 6 welds across the bottom, 4 across the top and one big one on the right side. It is this one that seems to fail first. 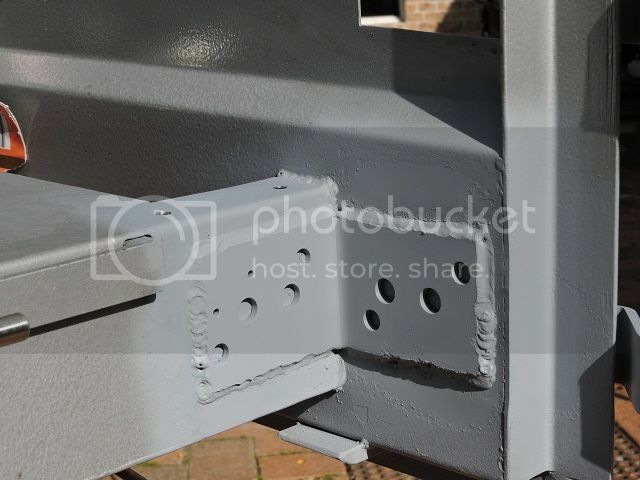 I sourced a 4mm thick angle bracket and welded it into the corner of the kitchen and tailgate so as to brace the problem area. 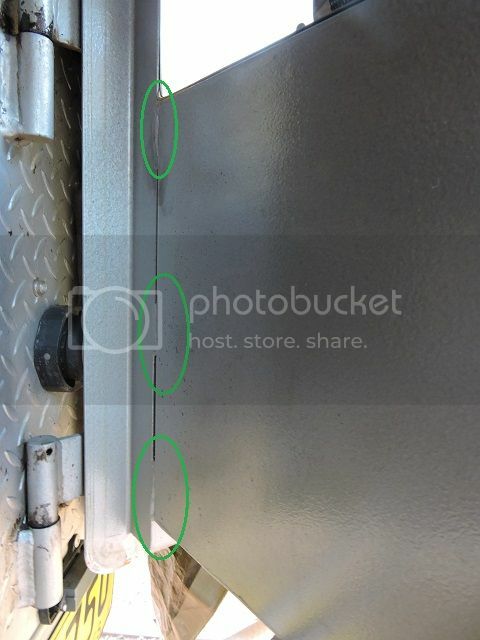 I would have liked to carry the kitchens weight up to the top of the tailgate but the tailgate lock gets in the way of any extra vertical bracing. Hopefully this will be enough and the tailgate panel wont rip out. Peter Aawen wrote: Bloody great idea!! That mod is certainly worth the effort. Made pushing the camper around in the dirt soooo much easier.